YES – We sell NEW Mattresses! 5 FUN Reasons to Shop at Thrift Stores #3 – Costumes! 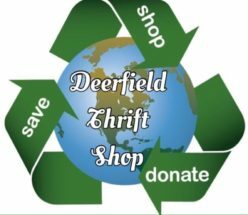 Thank You for Choosing Deerfield Thrift Shop to donate your new and gently used items! We gratefully accept from Residential And Business, no longer wanted or needed items & ReUse them through our Local Charities & Community. If you would like to donate items that won’t fit in your vehicle or you cannot manage, you can Schedule a Pick Up for your donations – It’s simple & Free! Call 954 – 871 – 9632 to speak to our pick-up coordinator, Loren, and he will be glad to book something convenient for you! Our staff is Prompt & Reliable to serve you well. Yes, we Do provide Tax-Deductible Donation Receipts! Small Furniture; Kitchen Tables & Chairs, Recliners, End Tables, Tall Boy (upright) Dressers, Nightstands, Occasional Pieces …. Unfortunately, we are Unable to accept donations of Large Furniture items. Please Call if You’re Unsure! Other Items that may include Wheelchairs, Mobility Scooters/Chairs, Walkers, Canes, Signs, Unusual Items….